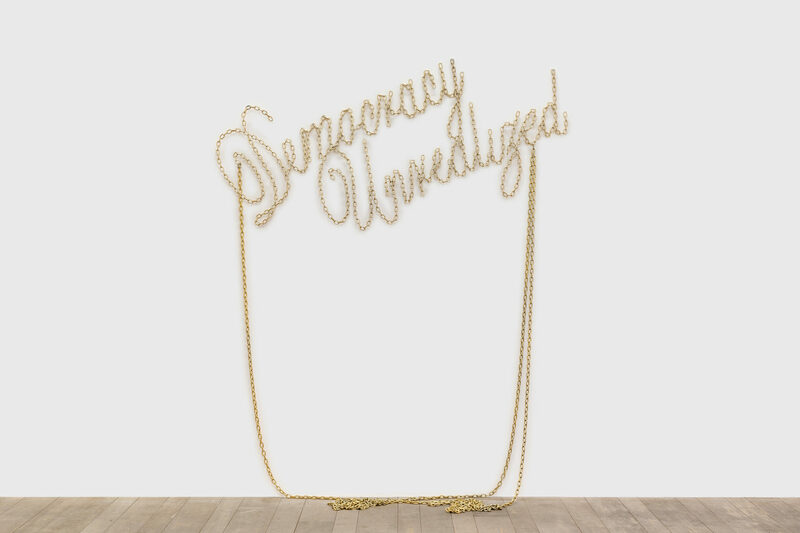 The art piece Democracy unrealized makes a qualifying statement on democracy claiming it has not turned out as it could have. Contrary to the essence of democracy and its intention, it has become trapped and leashed itself. Golden metal chains convey weightiness, the statement takes the form of a suspended object using old-fashioned lettering. Is this installation a statement, an anarchist slogan or, on a different level, an ornament or a gem put on display? The self-interrogation is now in the onlooker’s court.